English Naturalist Charles Darwin used his keen observation skills and logic to develop a comprehensive theory that describes the process of evolution. While some controversy surrounds evolution as it applies to human populations, Darwin's theory applies to all organic species. 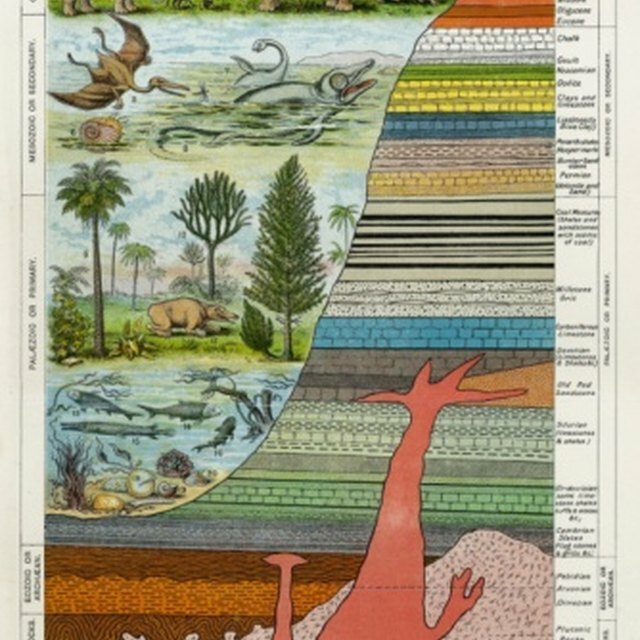 The basic principles of evolution are simple and seem obvious to the modern reader. However, prior to Darwin, no scientist had put all the pieces together. The four key points of Darwin's Theory of Evolution are: individuals of a species are not identical; traits are passed from generation to generation; more offspring are born than can survive; and only the survivors of the competition for resources will reproduce. The variations of individuals give some members of the species advantages in the competition to survive and reproduce. Those advantageous traits will be passed to the next generation. In every species there is variation. This variability occurs even between related individuals. Siblings vary in color, height, weight and other characteristics. Other characteristics rarely vary, such as number of limbs or eyes. The observer must be careful when making generalizations about a population. Some populations show more variation than others, particularly in geographically isolated areas such as Australia, the Galapagos, Madagascar and so forth. Organisms in these areas may be related to those in other parts of the world. However, due to very specific conditions in their surroundings, these species evolve very distinct characteristics. Each species has traits determined by inheritance. Inherited traits passed from parents to offspring determine the characteristics of the offspring. Inherited traits that improve the odds of survival are more likely to be passed on to subsequent generations. Of course, some characteristics, like weight and muscle mass, may also be affected by environmental factors such as food availability. But, characteristics developed through environmental influences will not be passed on to future generations. Only traits passed by genes will be inherited. For example, if an organism inherits the genes for a larger skeletal mass but lack of nutrition prevents the individual from growing to that size, and if the individual survives and reproduces, the genes for the larger skeleton will be passed on. Most species produce more offspring each year than the environment can support. This high birth rate results in competition among the members of the species for the limited natural resources available. The struggle for resources determines the mortality rate within a species. Only the surviving individuals breed and pass on their genes to the next generation. Some individuals survive the struggle for resources. These individuals reproduce, adding their genes to the succeeding generations. The traits that helped these organisms to survive will be passed on to their offspring. This process is known as “natural selection.” Conditions in the environment result in the survival of individuals with specific traits which are passed through heredity to the next generation. Today we refer to this process as “survival of the fittest.” Darwin used this phrase, but he credited a fellow biologist, Herbert Spencer as its source. Seehorn, Ashley. "What Are Darwin's Four Main Ideas on Evolution?" Sciencing, https://sciencing.com/darwins-four-main-ideas-evolution-8293806.html. 16 April 2018.